A management consultancy focused on the upstream oil and gas industry, and specializing in oil and gas asset valuation, reserve definition and quantification, and in the development of fact based business strategies for E&P companies and service firms. Our specialized E&P economic analysis tools, include sophisticated 3-product production modeling capabilities, geologic risk modules, and effortless scalability, allowing us to seamlessly transition the economics from individual wells, to pads, to projects, to company scale. Our extensive experience in doing this type of work provides us with an in-depth understanding of operating and capex costs, royalty rates, oil and gas production(severance) taxes, property (ad valorem) taxes, country fiscal terms (including, amongst others Argentina, Russia, China, UK, Norway, Mexico, Australia, Indonesia, etc.) Also, the program architecture is easily modifiable, allowing us to quickly and easily build a custom oil and gas economics analysis tool for any client, for any situation. Our focus is to develop and implement strategies that are practical, durable and allow organizations to achieve their full potential. Our consultants have long histories of working closely with senior executive teams of firms of all sizes to help their companies not only be successful, but achieve performance that stands out relative to peers. A key part of our approach is developing in-depth understanding of the activity trends in the industry. We use oil and gas well and rig counts, detailed infrastructure mapping (pipelines, process facilities, compression stations, etc. ), supply/demand fundamentals, and thorough economic analysis to develop the fact base that senior executives can rely upon to develop and execute business strategies with confidence. Contact us at insight@energy-cg.com to find out how we can help you. Alternatively, we can set up a complementary SKYPE consultation to demonstrate our capabilities, and if engaged, to interact directly with your project teams, whereever they might be. We know the E&P industry: We have experience in all phases of the upstream industry, including exploration, major project developments, market fundamentals, new technology development and usage. Proven Winners: our consultants apply the techniques, skills and experiences learned while working for acknowledged leaders in business and E&P strategy, such as, Bain (made famous by Mitt Romney), Cambridge Energy Research Associates (CERA) and other leading firms. Independence: we have no agenda other than delivering the best strategies for our clients. Practicality: we believe a key and often overlooked component to strategy development is practicality, so our consultants constantly factor implementation realities into the strategy crafting process. Rigorous, fact based analysis: our consultants don't blindly accept conventional wisdom. They investigate and analyze until they have a fact base to support their insights and recommendations.An example is our global oil field database, which describes over 2200 major oil and gas projects from around the globe that have been or are being developed. We believe our North America frack and rig market analytical tools to be among the best in the industry, and allow us to help guide our clients through the ups and downs of those markets. Tool kit: we use a variety of analytical tools to provide valuable insights. 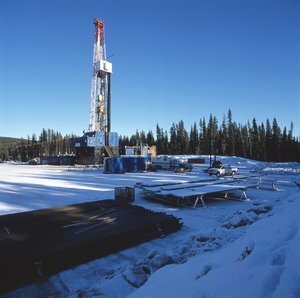 These include, but are not limited to, an extensive proprietary database of well and lease costs developed through our work for both oil and gas companies and private equity firms, and our in-house economic and decline curve analysis tools, which we believe to be among the best in the business, and which we use extensively for reserve determination, project/well economics and asset valuation. Bill is the founder and managing director of The Energy Consulting Group. As a principal at Cambridge Energy Research Associates (CERA), and while at Bain & Co., he successfully led strategy efforts in the oil and gas, and other industries for firms ranging in size from start-ups to Fortune 500 firms. Prior to obtaining an MBA from MIT, he was an engineer and engineering manager for ARCO, where he initiated and led a wide range of projects in the North Sea (One & Two), the front range of the US Rockies (coal bed methane), and in Indonesia (Offshore Bali). E&P Economics, Strategy, Oil and Gas Property Valuations, Reserve Quantification, and Classification. Economic Valuation Assessment Lens-EVAL is our proprietary, industry standard economic analytics tool, which we developed because we wanted a more flexible, easy-to-use tool than was then available in the market place. The analytical engine is integrated with the R statistical/graphics program to provide access to industry leading statistical tools for, among other purposes, performing stochastic modeling and Monte Carlo simulations. After all, some call shale plays statistical plays and the integration of R and EVAL has proved extremely in-sightful for this reason. R also allows us to output results into presentation quality, easy-to-interpret graphs and summaries, which in turn are printed into an easily transmitted format that can be read by all smart phones, notepads, laptops, personal computers, etc. Essentially: print once, read by any. We have used EVAL to run innumerable evaluations of oil and gas investmenst of all types, including: light, tight oil prospects; shale gas wells; deepwater projects, LNG installations, and oil sands investments. Also integrated into the coding are modules to evaluate non-North American opportunities, such as those being developed under production sharing contracts (PSC). Other uses have included determining minimum purchase/sales prices for A&D, modeling forward production profiles for investment analysis, incremental economics to evaluate the efficacy of introducing new technologies, and incrementally comparing investing in different asset types to determine how best to allocate limited capex budgets. Our extensive economic analyses for clients has generated a broad and deep database of cost and well performance over time of E&P settings, but especially for the onshore North American nonconventional sector. Here our data ranges from the earliest days of the Barnett shale play, to the most recent multiwell, multi-horizon pad in the Delaware Basin. Because of the flexible architecture used to craft the analytical engine, we can easily modify it for the specifics of any upstream oil and gas situation. Extensive and specialized expertise in the ongoing transformation of the oil and gas industry due to rapid advances in technology, especially fracking. Frack_It is our proprietary upstream activity assessment tool/database. Frack_It gives us in-depth insight into the onshore North American drilling and fracking markets because it allows us to accurately estimate activity as a function of oil and gas prices (and by extension for all manner of other oil field services and technologies, including coiled tubing, completion rigs, sand, trucking, etc.) Uniquely amoung such approaches, we have grounded it in the economics of the industry using EVAL.This allows us to not only forecast activity in the aggregate, but for over 50 individual shale gas and light, tight oil plays in both the US and Canada. This tool was developed under the sponsorship and in conjuction with one of our long time clients, a large supplier to the fracking industry with a detailed, sophisticated understanding of upstream activity. Our interaction with this client for over a decade has allowed us to continuously reality check the output of the tool against what is happening on the ground, and refine it accordingly until at present we believe it is the industry leader in its ability to determine play level frack hhp demand, frack crew levels and demand for drilling rigs. Another key tool supporting Frack_It is a database containing the operational details for thousands of horizontal, multi-stage fracked wells. The data includes wellbore schematics, directional surveys, AFE and "as spent" costs, drilling histories, completion summaries, which contain the activity logs describing the fracing operations for these wells. A small sampling of this information is located here, and a sample frack log, which presents details on injected volumes, pressures, rates, perforation intervals, etc. is presented here. Uses of Frack_It have included helping: a private equity firm evaluate the purchase of a coiled tubing company, a Fortune 100 firm accurately project drilling activity levels at the price lows of the last cycle, and provide accurate guidance on how fast, and in which areas, the subsequent rebound would play out. Make reasonable estimates for the amount of oil supply entering the market for any given year covered by the database. Segment the origination of new oil volumes by country, region, OPEC/nonOPEC, and type (e.g. deepwater, shale oil, bitumen, etc.). Estimate global, average aggregate decline rates. Put current trends and events into historical perspective.